“UFC on FX: Maynard vs. Guida” takes place Friday inside Revel in Atlantic City, New Jersey. Make sure to stay with 5thRound.com all night for our live coverage. Facebook will kick off the festivities by streaming a pair of prelims live at approximately 5PM ET/2PM PT. Fans simply have to “Like” the UFC’s page in order to watch the scraps live. The company’s YouTube channel, which will also be made available right here on 5thRound.com, runs the two fights, as well. 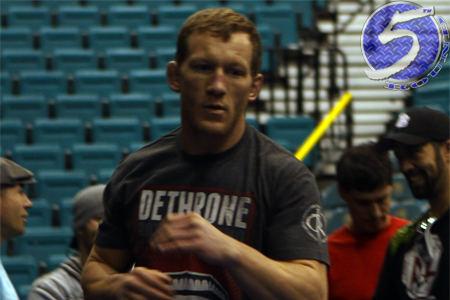 Friday’s show will feature a pivotal lightweight scrap between former top contender Gray Maynard (Pictured) and Clay Guida.